Jordan and Egypt have recently signed a deal wherefore the latter will provide half of Jordan’s requirement for natural gas to generate electricity for 2019. 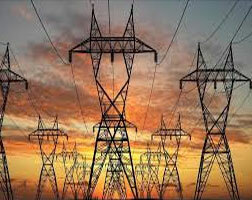 Report said that National Electric Power Company (NEPCO) Director General Amjad Rawashdeh, Egyptian Natural Gas Holding Company (EGAS) Director General Osamah Baqli and the Jordanian-Egyptian FAJR for Natural Gas Transmission and Supply Company Director Fuad Rashad signed the agreements in Cairo. Under the deal, Egypt will fill in half of Jordan’s natural gas requirement during 2019; the remaining quantity will be covered by Shell, which has provided Jordan with liquefied gas through the Aqaba Port, and from local renewable resources. Jordan requires 330 million cu ft/day of natural gas for power production. In 2004, Jordan received approximately 250 million cu ft/day of natural gas from Egypt. The quantity was reduced five years later, and was completely stopped in 2011. The resumption of gas supply is expected to ease Jordan’s power costs.